Sometimes it’s fun to create economic flow charts on loose leaf paper or cocktail napkins. 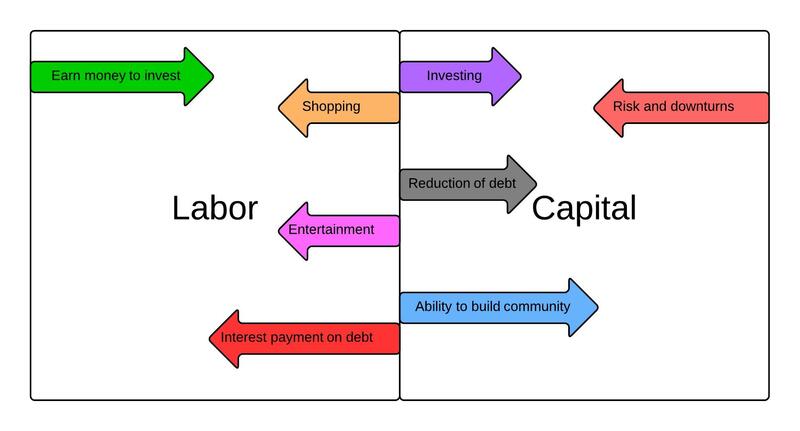 This is a simple doodle of how I conceptualize the positive and negative monetary flows related to labor and capital. Being neither an economist nor a mathematician, I find it best to follow the keep it simple stupid (KISS) principle, and for me this is about as simple/stupid a representation of this vastly complex topic as I can come up with. Leftward arrows are generally negative in nature. Rightward are positive. In 2008, the banking system of Iceland systematically failed, which led to a financial crisis from which the Nordic European island country is still recovering. What does this have to do with cloud computing? Iceland got rich temporarily through high finance, but it was boom and bust. In the aftermath of this painful episode, this island comprised mostly of a “cold and uninhabitable combination of sand, mountains and lava fields,” must find a sustainable economic growth alternative. Data centers require a lot of energy, but Iceland has a steady supply of thermal energy—enough to power the centers entirely through natural energy. Data centers use less energy when the ambient temperature is lower and Iceland’s name says it all. The year-round climate is chilly. Combined with the steady energy supply, those cooler temperatures ensure further energy efficiency. For security and risk mitigation reasons, data centers are best situated in sparsely populated areas. Iceland is one of the world most sparsely populated countries. According to the technology research company Gartner, the market size of public cloud services in 2013 is $131 billion and its 2013 growth rate will be 18%. The same study found infrastructure as a service as (IaaS) the fastest-growing component of the cloud market. IaaS grew 42.4 percent in 2012 to $6.1 billion. This year the increase is predicted to be 47.3 percent. Cloud computing, particularly IaaS, represents a good opportunity for return on capital invested by any entity. Yet Iceland has significant advantages that would make its return on investment greater than competitors in other counties. Those advantages are natural geothermal energy and an environment conducive to both greater efficacy and better security, factors described below. 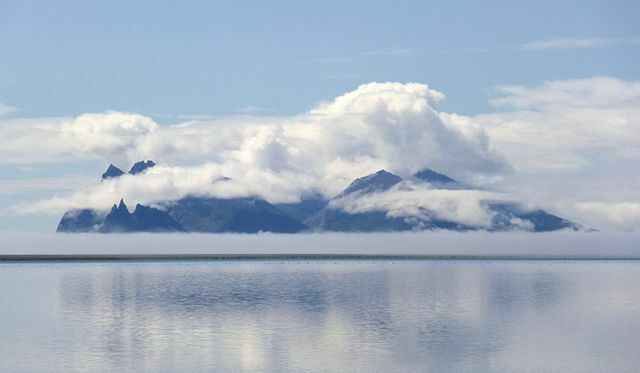 Cloud computing is also a better alternative than the recent explosion of aluminum smelter operations in Iceland—an industry that already consumes five-times the amount of electricity as Iceland’s residents. As the financial crisis taught, over-reliance on one industry creates significant risk. Cloud computing can be a balancing factor that will reduce this risk. If the data revolution continues to grow exponentially within a context of worsening global environmental problems such as climate change, companies around the world will be under pressure to find eco-friendly solutions for cloud computing. Some companies are already showing the way in Iceland. An Icelandic startup called Greenqloud offers a “sustainable public compute cloud that is 100% carbon neutral.” They have been joined by Verne Global, a British company that offers similar 100% renewable-energy services. Yet one big potential disadvantage to making Iceland “cloudland” must be mentioned: Iceland’s abundant geothermal power comes from the island’s volcanic character. A major eruption could wipe out one or more centers. This risk can be mitigated by locating all data centers in areas far from the ridges on which Iceland’s volcanos rise and seeking protective land formations that would shield from lava flows such as natural or man-made caves. In the past Iceland has been the victim of its unforgiving geography, which is not conducive to farming or dense population. The era of big data could flip this reality, making Iceland’s low temperatures and abundant natural energy the nation’s signature assets. The 70 to 36 decision by faculty members at Amherst against accepting an invitation to join EdX, a pioneer in the field of massive online open courses (MOOCs), signals to me that there’s some hope for higher education. EdX is good at making education more widely available. For millions of people around the world who might not otherwise be able to catch a glimpse of a Harvard classroom, much less matriculate in Cambridge, MOOCs offer the educational equivalent of window shopping. It will never be like sitting in the classroom and interacting with the professor, but you can see what the class has to offer. Even if you never “own” the class in the form of a something that will add up to a degree, you can be get the gist of a topic and self-study your way to mastery. This example of democracy and public reasoning leading to a rejection of a coveted invitation from Harvard/MIT to join the shiny-new-cloud solution to higher education is refreshing to witness. The faculty committee is correct to observe that MOOCs will “enable the centralization of American higher education.” Whether MOOCs will “create the conditions for the obsolescence of the B.A. degree,” is something I’m not qualified to judge, but viewing the stakes starkly demonstrates wisdom. Putting lectures in the cloud may seem smart today, but when thousands of professors start to get laid off it will be clear exactly whose lives the technology intended to disrupt. I don’t support the educational bloat and skyrocketing tuition that have led to the educational bubble, but I also don’t support laying off massive numbers of people who are central to America’s character. When the bubble pops, the MOOCs will be a convenient cost-cutting tool. In the Amherst committee’s language, I sense they are proactively voting in solidarity with professors across the country. As I wrote before, I don’t think MOOCs spell the end of higher ed. Amherst’s wisdom makes me more confident in my prediction.